At Blue Terra Energy we are committed to protecting the planet by helping consumers understand how they can save energy and money in the process. 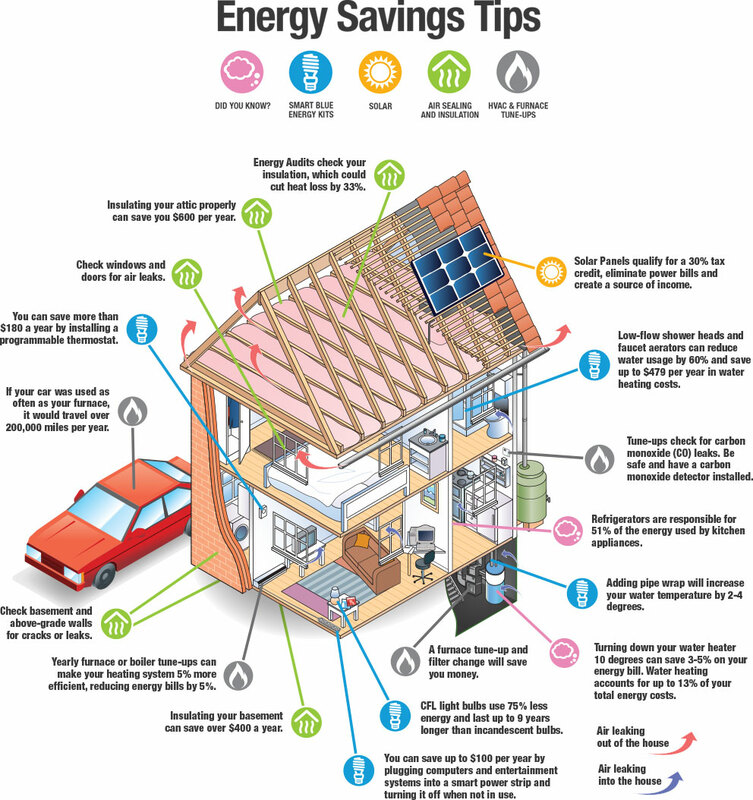 Below are a few simple energy-saving measures to take in your home. To learn more and speak with our energy-savings experts, please visit our store in downtown Hancock. The average U.S. household spends more than $2,100 per year on energy. Five 100-watt bulbs turned off for 10 hours a day saves $274 a year. Heating a home 19 hours per day = 2,850,000 watts per month. Average cost = $1,710 per year. Comprehensive Home Energy Audits uncover hidden energy loss problems in your home. Sealing air leakage in your home can save you up to 30% of heating and cooling costs. By identifying trouble spots, you can determine the most effective ways to save energy and money.